Do I Need An Injury Attorney? | Lance P. Richard, P.A. When it comes to personal injury, there are a lot of different situations that require outside help. While you may not want to get anyone else involved, it is important to make sure your safety is not jeopardized and that your health comes first. Unfortunately, getting injured at the fault of someone else is all too common. But how do you know if you need to call a personal injury lawyer? Here are some things to consider that will help you answer that question. How serious is your injury?Not all injuries will require you to utilize an attorney. But it is important to consider asking for help if your injury lasts for more than a few weeks and causes you to be out of work for an extended period of time. 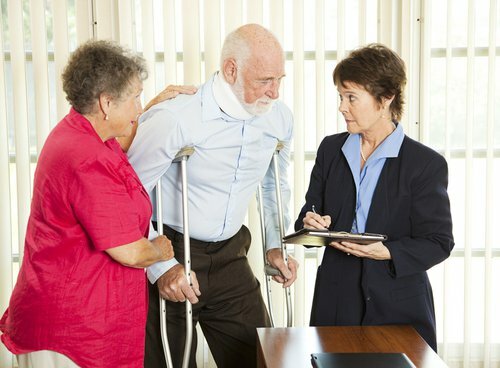 Attorneys are also important if the injury necessitated hospitalization, rehab, physical therapy, or even surgery. Were you at fault?Remember, personal injuries can happen anywhere -- from happening in the workplace or being a victim of a doctor's lack of judgment. Car accidents are also a large factor in personal injury as 52% of personal injury cases relate to motor vehicle accidents in one way or another. Are people asking you for a statement?It is never a good idea to make statements to insurance adjusters or doctors without a personal injury lawyer present. So if the other person involved in the claim is having their lawyers contact you, make sure to have a lawyer there to make sure you don't give up important information that can backfire in the long run. Are you unhappy with the initial settlement they have offered?The majority of personal injury claims can be settled out of court, but remember that you don't have to agree to anything you think is unfair. If you are not offered an amount you can agree with, hiring a lawyer is a great way to fight for your rights. Have you experienced a significant loss of wages due to your injuries?In addition to covering your medical expenses, the person behind your injury is liable to pay back lost wages as well. Hiring an attorney is the best way to ensure your finances don't suffer as well during this lengthy process. If you have answered yes to any or all of these questions, consider calling a personal injury lawyer today. Don't face these challenges alone, and let us help!